St Patrick please bless this beer! 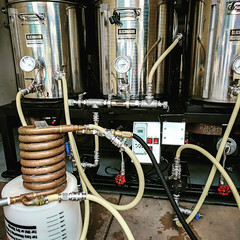 Making a Yeast Starter for my Hazy IPA tomorrow. I am using the wyeast London ale III 1318 yeast for this batch. I will let the starter go for about 24 hours and then pitch tomorrow. Below is another animation of the stir plate about 10 hours after creating the yeast starter. If you are seeing foam at the top of your starter at this point that is a great sign. I usually turn off the plate for about 30 minutes just to check for signs of life. 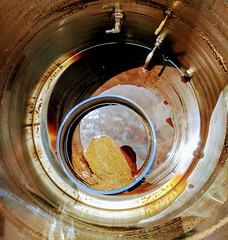 If you are seeing bubbles and foam it means your yeast is alive, active and healthy. If after 10 hours on a stir plate, at a reasonable temperature (62F-75F for an ale) and you are not seeing any bubbles, I would consider getting new yeast as it is either dead or not to the point it needs to be to ferment. Keep in mind that yeast has a shelf life, and that it is a living organism that requires certain conditions to stay alive. 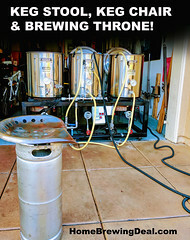 Living in Southern California, I am very cautious about ordering yeast online because there have been about 5 separate occasions where my yeast was destroyed in transit because of heat. If you ever receive a bloated yeast packet, always do a starter just to insure that it is still viable before pitching. If I am going to order yeast online, I try to make sure that the regional weather will be moderate. One other thing, while on the stir plate, I keep my flask wrapped in a towel during the daytime to help prevent in oxidization impact on the yeast from the sun light. 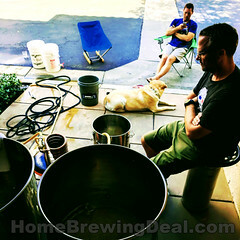 ← Save $17 on your $100 Purchase at Adventures in Homebrewing!